Whilst serving as an aide to the CID, Detective Constable Rhea is kept busy in the seaside resort of Strensford as he endeavours to trace a stolen garden spade, the thief of a makeshift hearse with a corpse on board, and the phantom knicker-pincher of Harbour Rise. Throughout his early days Nick, like many other detectives, nurses an ambition to arrest a murderer, but no opportunities come his way – until a killer on the run seeks refuge in Strensford and an elderly lady is found dead at home. Nicholas Rhea is the pen name for Peter N. Walker, formerly an inspector with the North Yorkshire Police and the creator of the Constable series of novels, the inspiration for the long-running and critically acclaimed ITV drama series Heartbeat. 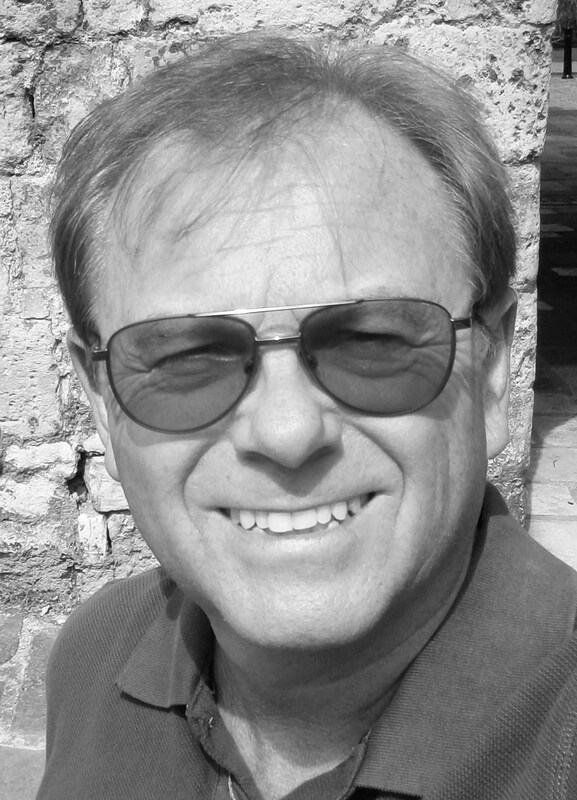 As Peter N. Walker he is the author of Portrait of the North York Moors. He lives in his beloved North Yorkshire. 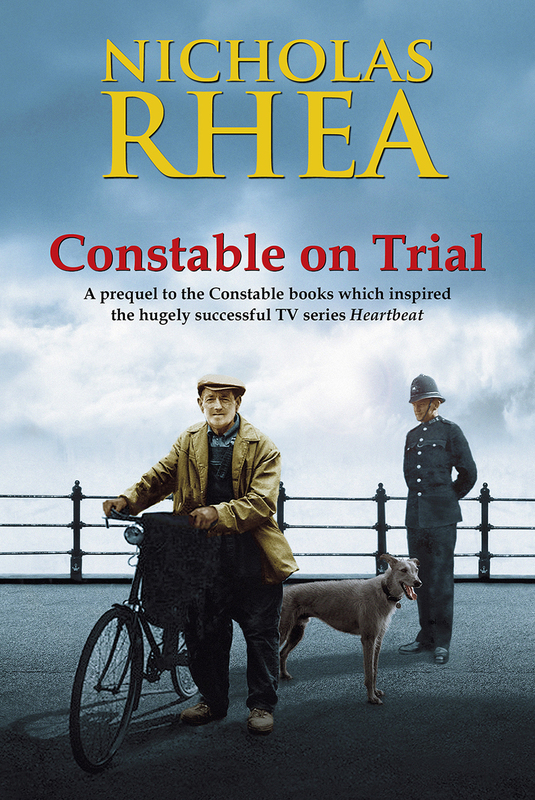 Buy your copy of Constable on Trial here. conscience to the precipice of insanity as he fights to find his daughter. New York, Paris, the UK, Ireland and the Greek Islands. 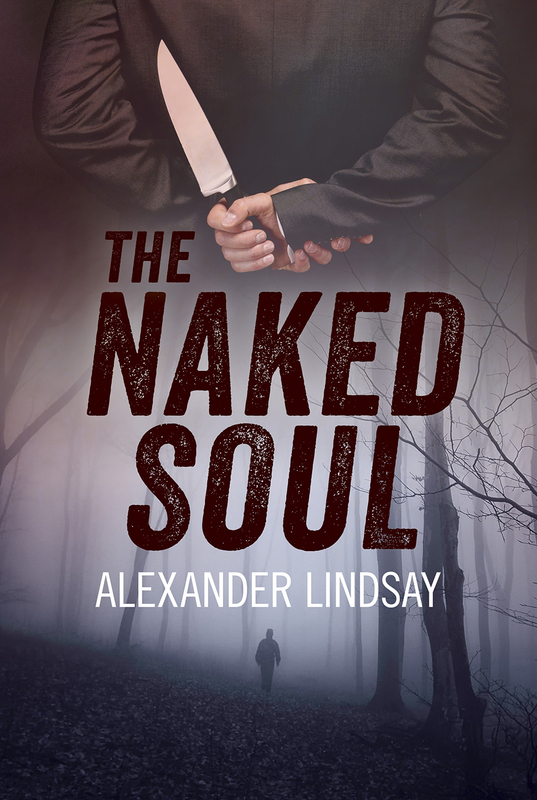 about the author at his website: www.alexanderlindsay.com. Buy your copy of The Naked Soul here. harassment in her determination to win Jack back. Buy your copy of Not My Affair here. Ex-Met Inspector John Cannon and his partner Liz have a hectic life running a Lincolnshire pub. When a punter is murdered after a particularly raucous quiz night, a wealthy businessman is driven to seek Cannon’s help. Their life is turned upside down, and they embark on a precarious sea voyage to the frozen wastelands of northern Norway where they must evade the murderers and icy waters. Jean Chapman began her writing career as a freelance journalist before going on to write fiction. Her books have been shortlisted for both the Scottish Book Trust Award and the RNA Major Award, and she is the three-time President of the Leicester Writer’s Club. Her previous books, including Both Sides of the Fence, A Watery Grave, and Deadly Serious, were all published by Robert Hale. 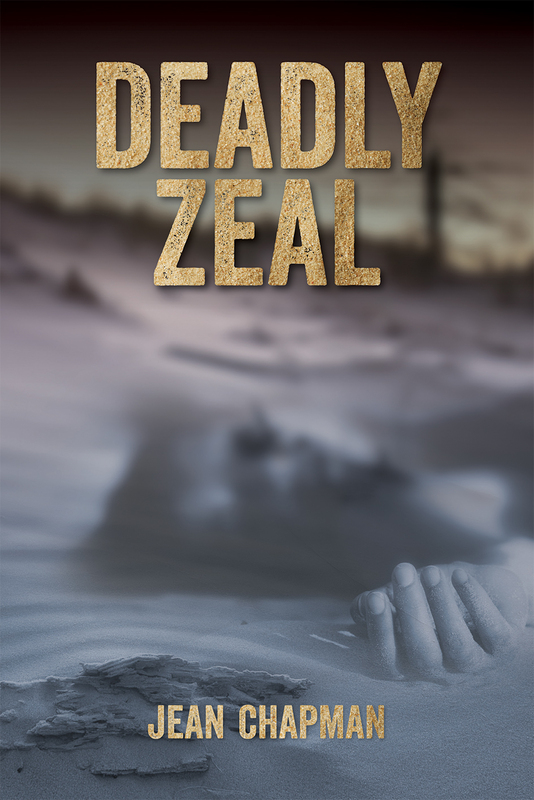 Buy your copy of Deadly Zeal here. When her mother dies in a wagon accident, Florence is left at the mercy of her mother’s husband. At the funeral, he reveals he is not her real father and abandons her. Left with nothing but the clothes she stands in and her mother’s red coat, Florence takes on farm work to make ends meet, but her fortunes change when she discovers money hidden in the coat’s lining. As she navigates across the North Yorkshire moors alone after being forced to leave the farm she had called home, Florence encounters friends and enemies, often disguised as each other. Elizabeth Jackson is a writer and psychotherapist. She is married with two sons and has lived in North Yorkshire all her life. Her previous book Language of Thieves was published by Robert Hale in 2011. 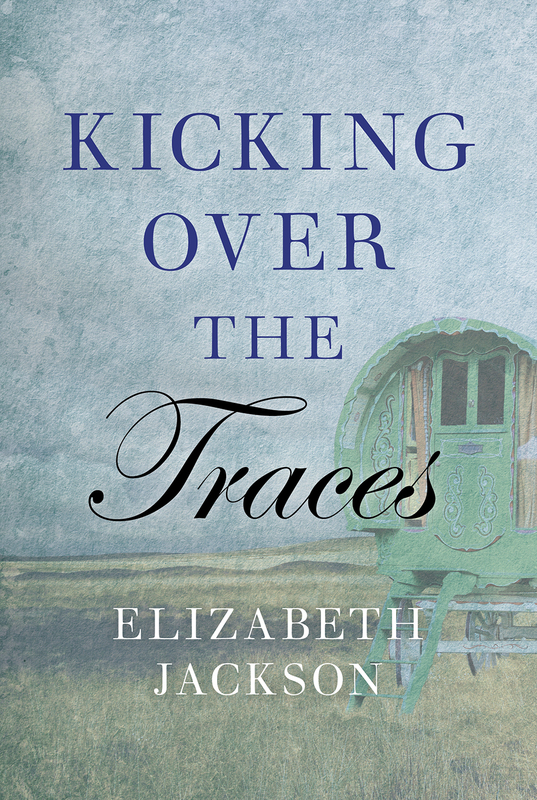 Buy your copy of Kicking Over the Traces here. When old friends Anne and Josh Steele ask Frank Doy to look after their son, Tom, Frank can’t say no. After a drink-driving incident that took the life of his friend, the victim’s gangster father wants Tom dead. Frank takes Tom to an isolated cottage in wintry Northumberland, but trouble follows. As the lonely village is held siege during a blizzard, Frank fights to keep his charge alive. In the process he unravels a story at odds with the Steeles’ version of events – of a business partnership turned sour, and a young man placed in jeopardy by family loyalty. Dan Latus lives in Northumberland with his wife. He grew up in Teesside which has been the inspiration for many of his novels. His previous books include Never Look Back, Risky Mission, Out of the Night, and Death at South Gare. 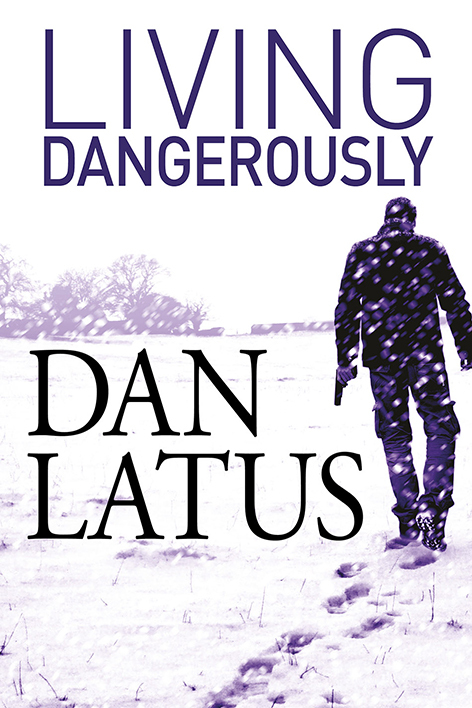 Buy your copy of Living Dangerously here. The women of Bromersley live in fear that their names are on the murder list. Bodies keep turning up – women in their sixties, always in the same disturbing pose, with a cauliflower in their laps and rice in their mouths. Inspector Angel discovers a list with the murdered women’s names on, but clues and forensics lead nowhere, and although witnesses report an odd-looking woman wearing a sheepskin coat, no one can find her. Son of a Yorkshire businessman, Roger Silverwood was educated in Gloucestershire before National Service. He later worked in the toy trade and as a copywriter in an advertising agency. Roger went into business with his wife as an antiques dealer before retiring in 1997. Buy your copy of The Murder List here. A single red rose on her doorstep and anonymous calls have made Ginny a nervous wreck. Seeking peace and telling no one, she runs away, but a rose is delivered to the hideaway. She’s at breaking point when suddenly contact stops. Returning home, she befriends quiet librarian Curtis, but realizes too late that her trust is misplaced. At Curtis’s mercy, she’s reminded of the poem ‘The Spider and the Fly’. She has walked up the winding stair, but will she walk free, or will she perish like the fly? Millie Vigor was born in Dorset and was educated at Ludwell village school. At fourteen she left to start work and she considers this the beginning of her real education. Throughout her many jobs; kitchenmaid, farm-worker, glove-maker, canteen cook and B&B landlady, she took note of what made people tick and of sights and sounds, and stored this all away to use in her writing. In addition to articles and short stories sold to various magazines, her autobiographical book Kippers for Breakfast was published in 2003. Her recent books No Skylarks Sing and Paying Davy Jones were published by Robert Hale. She lives in Taunton, Somerset with her constant companion, a cat called Harriet. 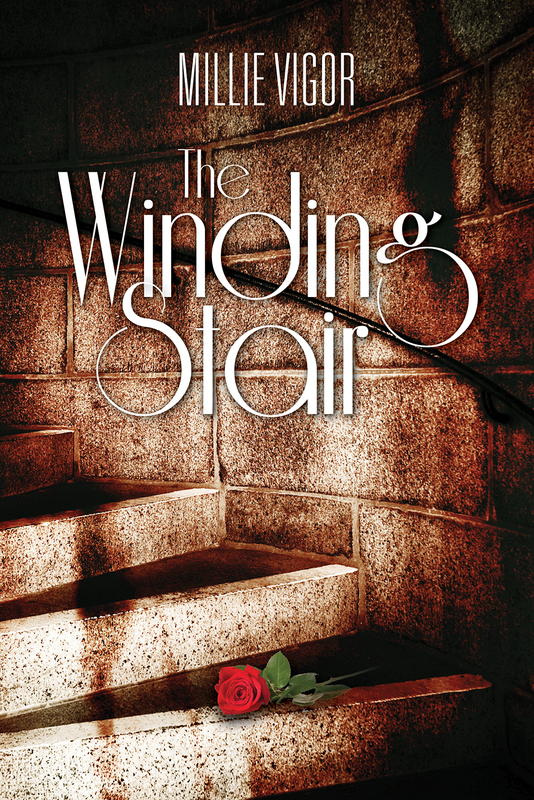 Buy your copy of The Winding Stair here. In this double author post, Millie and Pam talk to us about their upcoming books, The Winding Stair and Not My Affair. Both novels deal with the themes of obsession and a woman who is being harassed and stalked, either by a man who doesn’t know how to express his love in the right way, or her husband’s mistress who simply won’t let her lover remain with his wife. Unsurprisingly, this is about an affair, an affair that comes to light on Christmas day because of a careless mistake on the part of the adulterer, Fay’s husband Jack. There are two ways forward for the couple at this point. They are that the affair heralds the end of the marriage or Fay and Jack can decide to work together and begin to repair the damage the infidelity has caused to the relationship but, of course, it is rarely that simple, and it certainly isn’t that simple in Not My Affair. Trying to get an anonymous suitor to stop phoning her and leaving her red roses, Ginny leaves her hometown for a short break, only to be found again. She returns home and is befriended by local librarian Curtis. When he invites her into his house, she discovers her trust has been misplaced when he traps her inside. Reminded of Mary Howett’s poem, ‘The Spider and the Fly’ in which the spider persuades the fly to walk up his winding stair, Ginny wonders if she’ll walk free or perish like the fly. Millie Vigor: One of the questions an author is often asked is, ‘What inspired you to write that story?’ The inspiration for The Winding Stair came first from an item of news about a young woman who had gone missing without trace, and secondly from the content of a book I had read. ‘The Spider and the Fly’ by Mary Howett also plays a part. “Will you walk into my parlour, said the spider to the fly” and “the way into my parlour is up a winding stair”. That is just what Ginny had done; she had walked up the steps and into Curtis’s house to borrow a book. Pam Fudge: I think we’ve all met or read about someone who is quite scary in their determination to get their own way – no matter who gets hurt – so it was a compilation of remembered snippets from real life and fiction that were my inspiration. Not My Affair came to me, as my ideas often do, from the kind of problems that beset even the best of families. I knew that Jack’s affair was going to come to light right at the start – on the first page as it happens – but I hadn’t planned much more than that when I started to write. 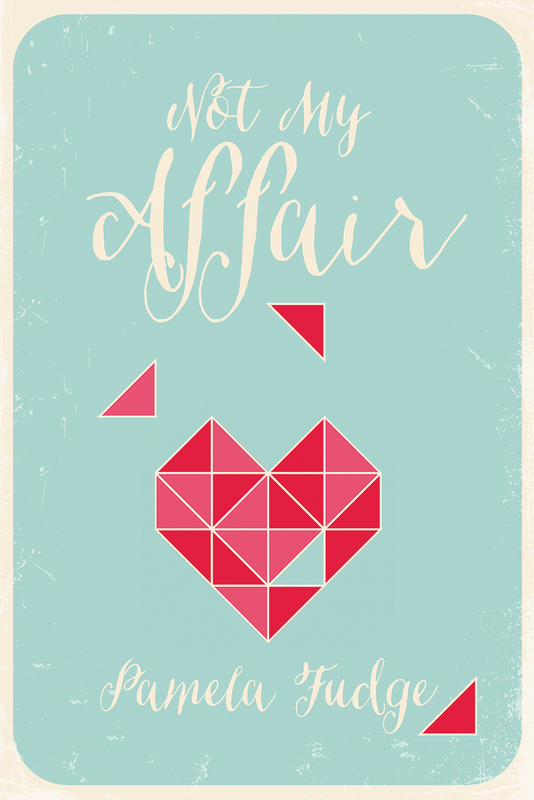 I am not a meticulous plotter, but like to see how the story and characters develop and I absolutely loved the way that Not My Affair really took off in ways that I hadn’t imagined. MV: ‘What if?’ questions began. What if Ginny, my main character in The Winding Stair had been abducted and imprisoned by Curtis, a young man who had fallen in love with her and wanted her for himself? What if he lacked the social skills required and thought that if he locked her up, but was kind to her, that she would grow to love him? But what if the trauma in that young man’s early life had warped his mind to such an extent that his personality had split and divided into many others? What if he had developed Multiple Personality Disorder? PF: The ‘what ifs’ that Millie mentions are such a great writer’s tool and it was a very early ‘what if?’ that determined Iona was going to be one mistress who had no intention of simply fading away. I didn’t so much choose Iona for the role she was to play, as have her present herself to me at quite an early point in the story and give an indication of what she might be capable of. MV: I found the idea of a person morphing into another personality fascinating so to research the condition, I read all I could about it. Consciously or not, we all tend to present different faces to whoever we are with, but that’s where it stops. Not so with Multiple Personality Disorder. The condition is believed to be brought on by serious mental or physical abuse in early childhood. When Ginny defies her captor, Curtis changes dramatically into the violent character of Mikhail and she is forced to adjust her attitude towards him. Then Angel appears who says that she is the protector and that there are others. From then on Ginny never knows who will come through the door of her cell. In an odd sort of way this is a love story, for Curtis is genuinely in love with Ginny, but is mistaken in the way he pursues her and instead of drawing her to him he repulses her. PF: I feel that reading Not My Affair would make women – and men, too – a lot more alert and aware of the possible dangers that can be the result of thoughtless actions. My research opened my eyes to what constitutes stalking/harassment and hopefully it will open the eyes of my readers, too, because some may be suffering in a similar way to Fay and realise there are laws in place to protect the innocent. MV: I hope my readers will sympathise with both main characters. One was not given the guiding hand of loving parents as a child. The other did not look deeply enough into the character of her friends. The meeting of Ginny and Curtis was a recipe for disaster. PF: After reading Not My Affair, I would like my readers to feel they have been on a journey that has kept them on the edge of their seat at times – though there are lighter moments, too. MV: The message overall is to not be too quick to trust ready smiles and sweet words. Honey means bees and bees can sting. The Winding Stair will be published by Robert Hale on 31st October 2015, and Not My Affair on 30th November 2015. When asked to judge the neighbouring village’s Flower Show, vicar’s wife Monica Noble is thrilled, even if she can’t tell a begonia from an azalea! This year, competition is fierce, and when her fellow judge, a well-liked vicar, is killed, Monica must wake up and smell the roses. A second murder quickly follows, this time a local scientist. Monica must help the local detective to solve the two murders and find the killer – quickly, before anyone else dies. 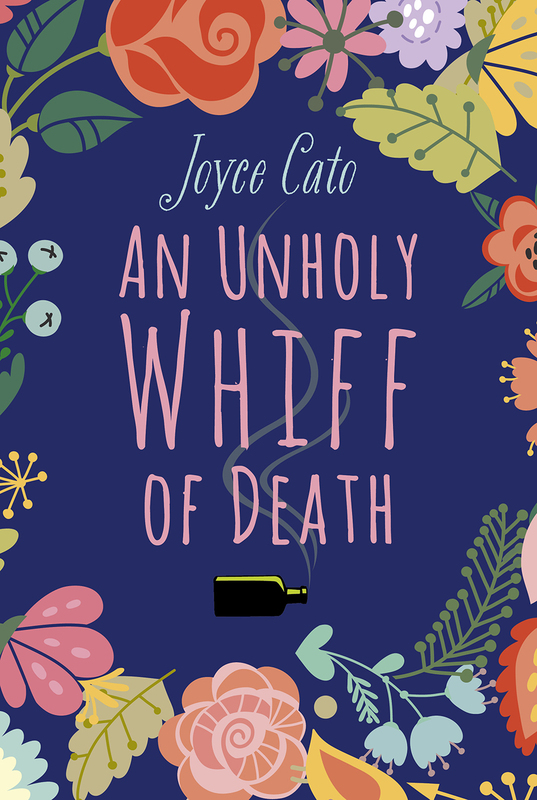 Joyce Cato was born in Oxford and worked as a secretary before becoming a full-time writer. Buy your copy of An Unholy Whiff of Death here. D.C.I. Cardinal’s plans to smash the gang of his old adversary Gus Clifford are thwarted by the discovery of a dead man in Northumberland. He assigns D.S. Grout to investigate the murder while he continues to lead the hunt for Clifford. Grout’s investigation begins at Hadrian’s Wall but a second murder leads both men to the centre of an international art-smuggling organization on the Bodensee. Cardinal and Grout must uncover the identity of the killer before he strikes again, and stop the Clifford gang. 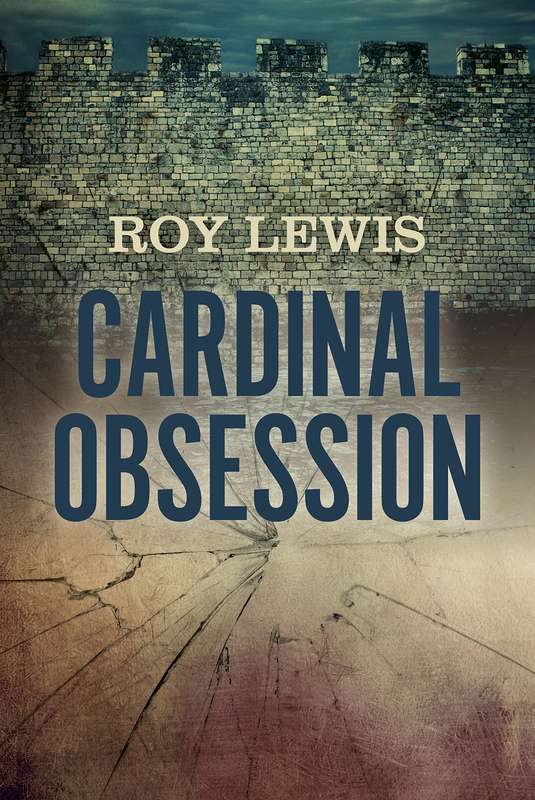 Roy Lewis is a well-established crime writer with over sixty novels to his name. A former college principal and inspector of schools, he now runs business training programs and lives in the North of England, where he sets many of his books. Buy your copy of Cardinal Obsession here. 1890: A killer stalks the Isle of Faxfleet – a tiny, independent kingdom on the River Humber in Yorkshire. Faxfleet is inhabited by eccentrics, oddballs and Victorian dropouts, and is ruled by King Ludwig, a man obsessed with creating an academy of geniuses. When one of the academy members is killed by an arrow while climbing a tree, Scotland Yard despatches Inspector Abberline, the world-famous ‘Ripper Detective’, and his assistant Thomas Lloyd, to investigate. The case is as fascinating as it is perplexing, and leads to a series of decidedly peculiar crimes and a thrilling climax that plunges both men into danger. Since selling his first ghost story to a radio station as a teenager, Simon Clark has had a prolific career as a horror writer. His previous novels include This Rage of Echoes and Midnight Bazaar – A Secret Arcade of Strange and Eerie Tales, also published by Robert Hale. Having previously worked as both a strawberry-picker and a shelf-stacker, Simon Clark now writes full-time and has won a British Fantasy Society Award for his work. 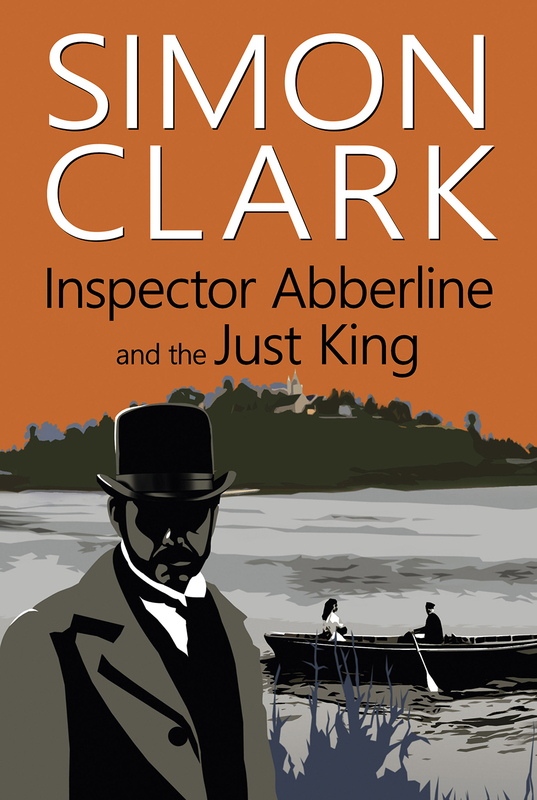 Buy your copy of Inspector Abberline and the Just King here. When ex-DI Hillary Greene, now working for the cold-case squad, is assigned to the tragic murder of an old woman, she’s determined to track down the killer. But with her partner pressing for an answer to his proposal of marriage, and a new boss, it won’t be easy, especially as her team’s newest addition seems to have his own agenda for being there – an agenda that’s leading him into big trouble. Luckily Hillary’s a multi-tasker – nobody is going to get away with murder on her watch. Faith Martin was born in Oxford. She began her working life as a secretary but left to pursue her dream of becoming a writer. A Narrow Victory is the latest book in the thrilling Hillary Greene series. 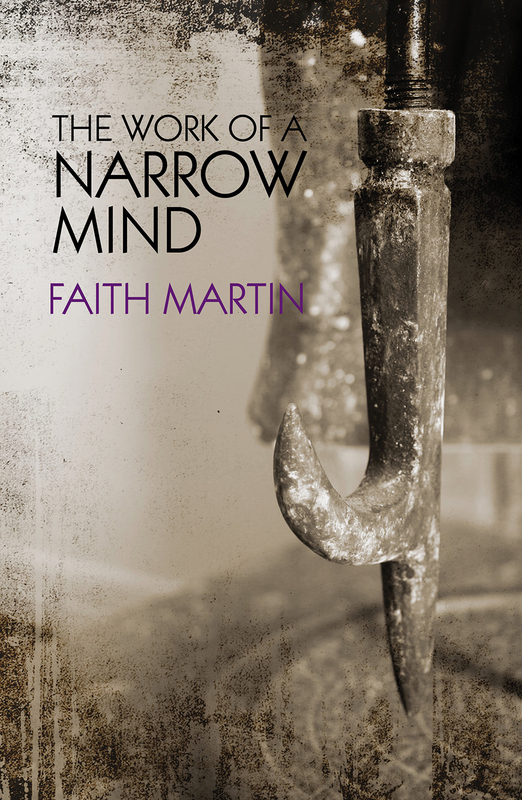 Buy your copy of The Work of a Narrow Mind here. family, it holds some dark secrets. Rachel visits her half-sister in the Christmas of 1867, finding a house of family feuding, hauntings and disappearances. Ambrose and his brother Nikolas are unnerving hosts, and any chance of festivity is destroyed when a member of the household suddenly dies. Questions begin to pile up: who are the strange Blackwood family, and what skeletons are hiding in their vast Gothic house? With neighbour William Norton’s help, Rachel tries to prove her suspicions of foul play, and get out of the castle alive. Lovegrove Hermit was published by Robert Hale in 2013. 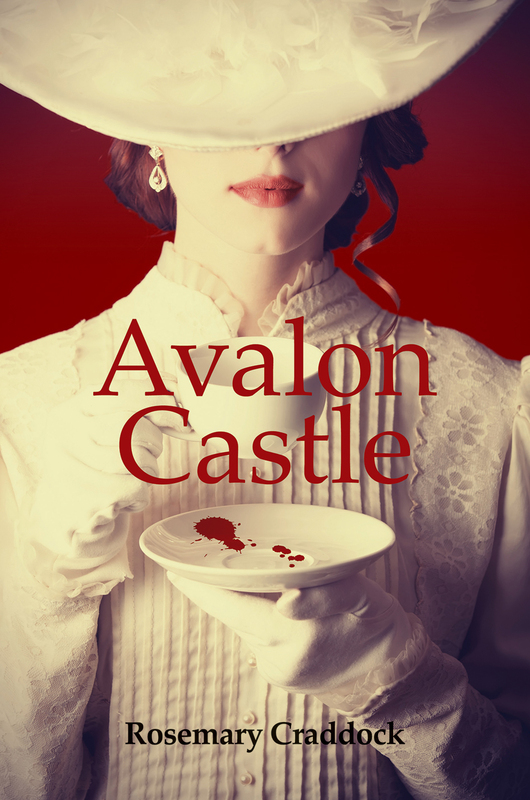 Buy your copy of Avalon Castle here. In freeing a young girl from a secure children’s unit, special agent Samantha Quest is taking on the most powerful men in the country. The sixteen year-old girl has filmed an incident on her mobile phone which could bring down the government. The girl is Annushka Dvoskin, daughter of a powerful Russian oligarch. Unknown to Samantha, his enemies dispatch a team of hitmen to murder her and her charge. In this novel of wealth and corruption, the great and the privileged will do anything to protect their power. As the killers race to find the girls, Samantha and Annushka must outwit them. Raymond Haigh was born in Doncaster where he went on to work in local government design departments. He is married with four children and seven grandchildren. 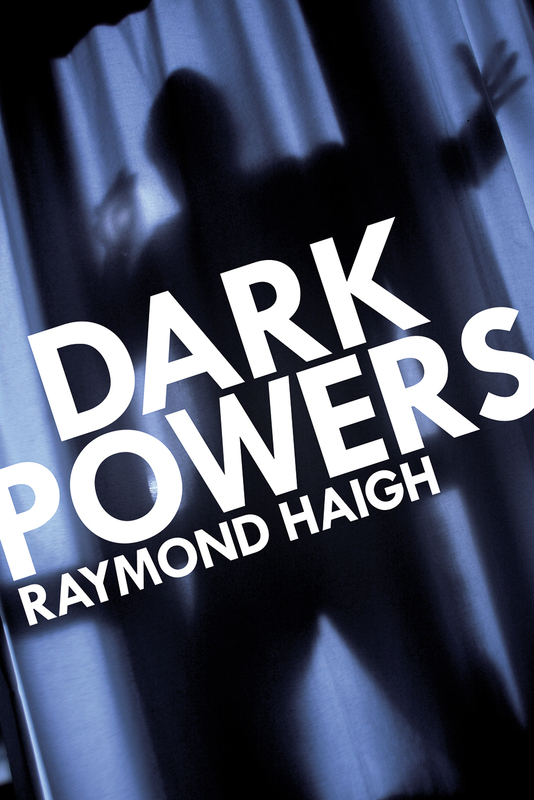 Buy your copy of Dark Powers here. Industry in Yorkshire is booming and the cities are expanding. engulf Firby valley. Firby Hall, where Rachel works, will be demolished when the reservoir is built. She convinces the owner not to sell, but when he dies, sole heir Guy Potts looks set to ruin Rachel’s careful work. Rachel must fight on, before her home is destroyed. Ann Cliff was born in Yorkshire and brought up in a farming family. 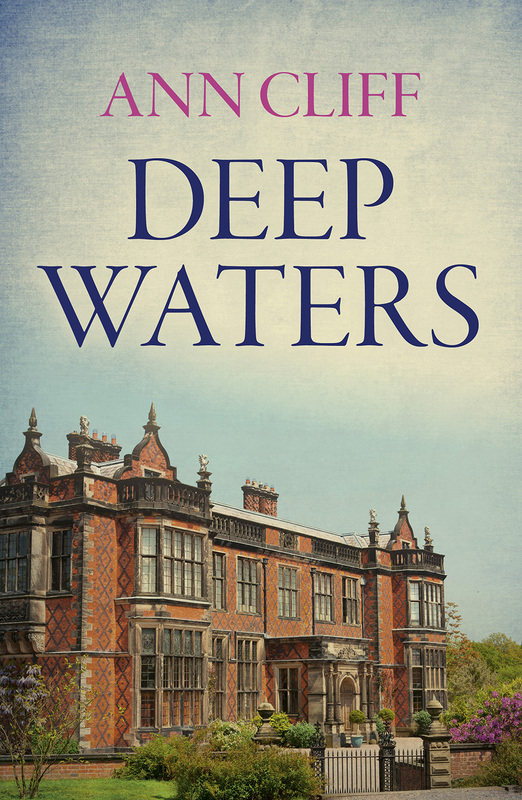 Buy your copy of Deep Waters here. her children’s friendship with the maid, resolves to remind Emma of her place. When Emma and William form a close bond, unforeseen circumstances force Emma to be sent away, and William banished from the farm he loves. Will their connection be strong enough to reunite them? Beyond Reason are also published by Robert Hale. 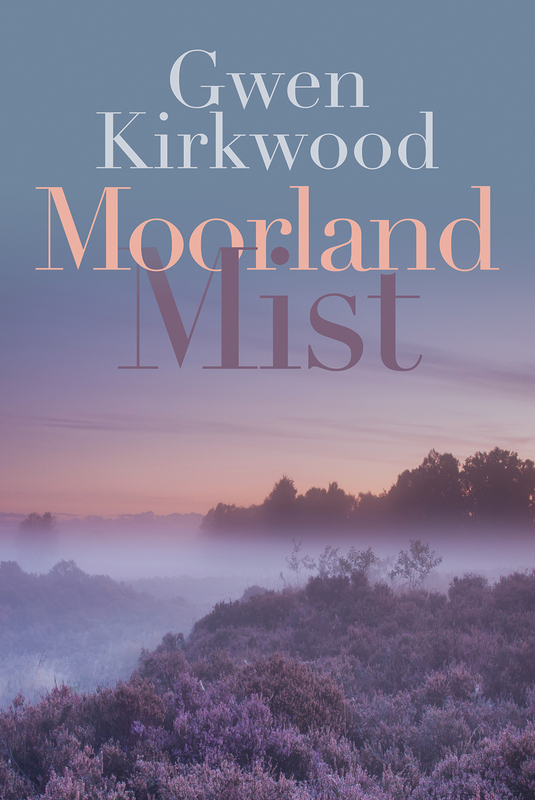 Buy your copy of Moorland Mist here. Through his journal of bloodstained poems and deranged fantasies, the frenzied consciousness of the barrister Richard Dunn is revealed, as he pursues the young heiress Angela Burdett-Coutts relentlessly through the streets of Victorian London.Driven by a fixation that binds him to her through the years, the reader shares his moments of fluctuating sanity and madness as he wrestles with his delusions.With the aid of influential figures of her time – the writer Charles Dickens, the Duke of Wellington and the scientist Charles Wheatstone – Angela seeks to deal with the pain of family secrets, while refusing to be defeated by Dunn’s obsession for her. Anne-Marie Vukelic was born in Codsall, South Staffordshire in 1967 and went on to attend St Peter’s School in Wolverhampton. In the 1980s, she moved to Austria but has now returned to the UK. Vukelic is a lifelong enthusiast of both Victorian history and psychology and currently works as a health and social care manager. She continues to live and work in the West Midlands. Her two previous novels, Far Above Rubies and The Butterflies are Free, were published by Robert Hale. Buy your copy of Caged Angel here. 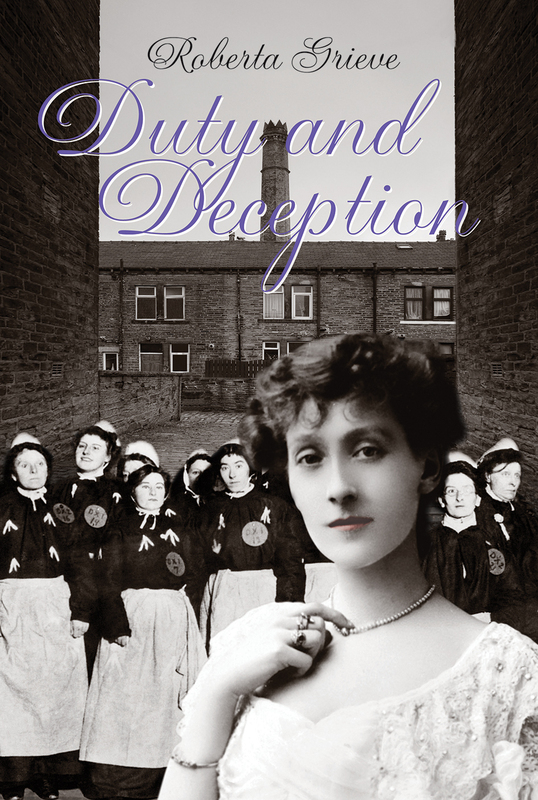 Anna Grayson has been a dutiful, loyal and obedient daughter her whole life but her world is transformed when she meets the lively and outspoken Mitchell sisters, employees in her father’s factory, who awaken her interest in the women’s suffrage movement. Anna soon abandons her unfaltering obedience to her father to join them and attend a forbidden rally. This new world of excitement and freedom comes with risks. No longer sheltered by her father’s protection, Anna is forced to grow up quickly when tragedy strikes at a rally and her beloved new friend Lily Mitchell is knocked down by a motorcar and killed. Anna suspects it is no accident. Suddenly the world outside no longer seems so enticing. Convinced of foul play, Anna enlists the help of young doctor, Daniel Peters. At first, he is dismissive of her claim that Lily was pushed into the road – who would want to kill her? – but she persuades him to join her fight to uncover the truth and find justice for Lily. 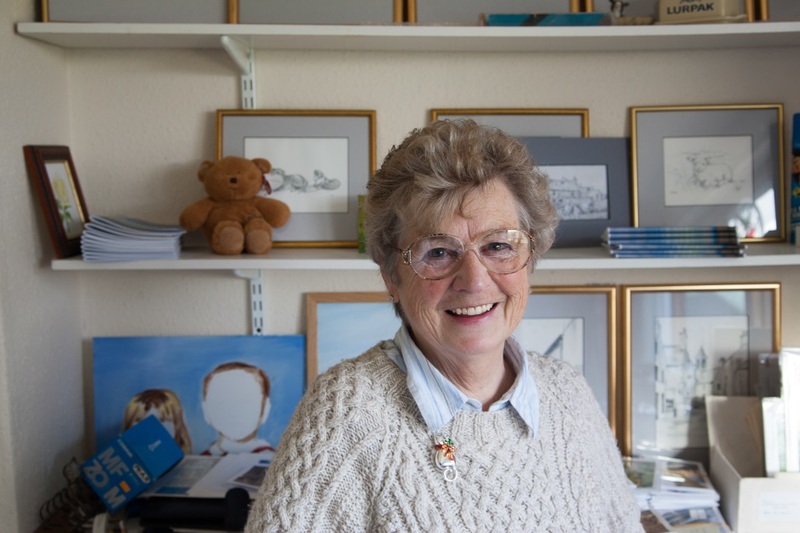 Roberta Grieve has always loved writing and when she took an early retirement, after working for West Sussex Library Service for over twenty years, she was determined to turn her hobby into a second career. 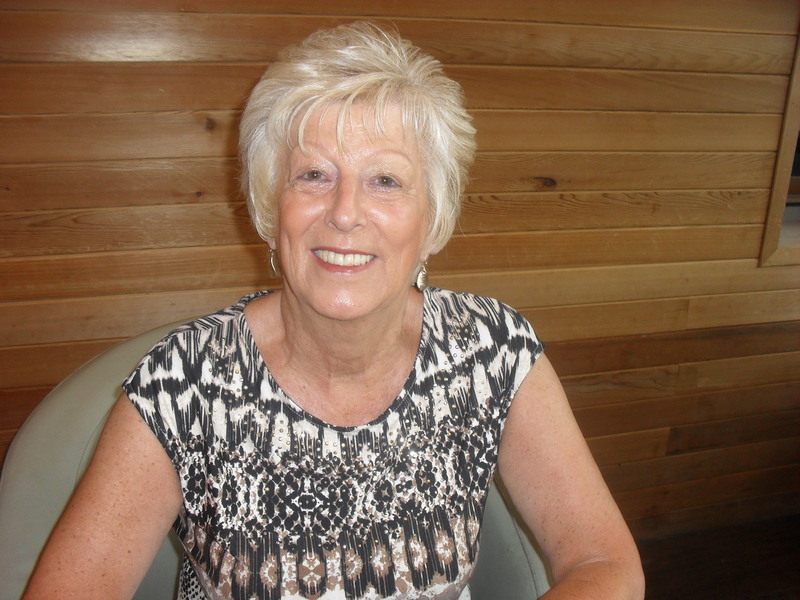 Her first book was published in 1998 and since then she has had many stories and articles published.She is secretary of the Chichester Writers’ Circle and editor of the Chichester Literary Society’s quarterly newsletter. In her spare time she enjoys painting and walking, although writing and research always take precedence. She lives in Chichester, West Sussex. Buy your copy of Duty and Deception here. Bideford, Devon, April 1873: the River Torridge is in flood. Almost as soon as she sets foot in the town, Abigail March saves a young woman from drowning. Abigail, the daughter of a progressive Canadian politician, is in Bideford on official business, deputizing for her father. Accompanied by Inspector Theo Newton of Scotland Yard, she has travelled to the West Country to inspect the cache of smuggled weapons being guarded by the local borough police. That night, the woman Abigail saved is murdered and the weapons disappear. The police make an arrest, but when Abigail befriends Norman, the twelve-year-old brother of the accused man, she and Newton realize that the police have made a mistake which could have tragic consequences. At first, Newton is bewildered by Abigail. He has little experience of women and her forthrightness and ideas about women’s rights unsettle him. But, as their relationship progresses, Newton is inspired by her example. Spurred on by Abigail’s fearless determination and her sympathy for those less fortunate than herself, Newton shows bravery and strength, as they works tirelessly together to solve the case and uncover the truth. R. S. Hill was born and grew up in North Devon. He taught EFL in Greece, became Head of Department in comprehensive schools and later a local authority consultant. He now writes full time. He has contributed travel, local history and educational articles to various magazines and newspapers. An experienced Western writer, The Rescuer is his first foray into crime writing. 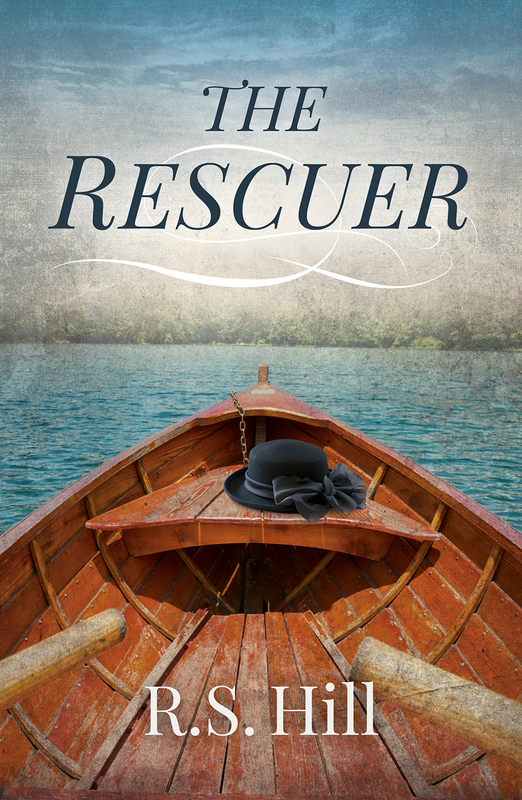 Buy your copy of The Rescuer here. When Holmes and Watson are visited at Baker Street by a frightened figure in a stovepipe hat, their interest is immediately piqued. The bizarre man turns out to be the reclusive Prince Alexander, the only son of the King of the Netherlands. In despair, he relays his suspicions to them about a plot to steal the throne, a jilted marriage proposal, and an attempted poisoning. The detective and his assistant agree to help solve the case and quickly enter a dazzling world of power, inheritance and ambition. Passing between the grandeur of The Langham and Claremont House, Holmes and Watson meet an array of enchanting and mysterious characters, each with their part to play in the struggle for the throne. With stakes this high, the game is bound to get dirty. With chapter headings derived from the titles of Conan Doyle’s short stories, Kingston cleverly weaves together the explosions in London, the extinction of the male line of the Dutch royal house of Orange, and the death of Queen Victoria’s favourite and haemophiliac son, the Duke of Albany. Jeremy Kingston is a playwright, novelist and poet. For many years he was also a theatre critic, reviewing plays for the magazine Punch and then as a critic on The Times. His most recent play was Making Dickie Happy where he imagined Noel Coward, Agatha Christie and Lord Louis (Dickie) Mountbatten happening to meet at the start of their careers at an island hotel off the coast of Devon. Two volumes of his poetry have been published. He was born in London, brought up in various Home Counties and now lives again in London. 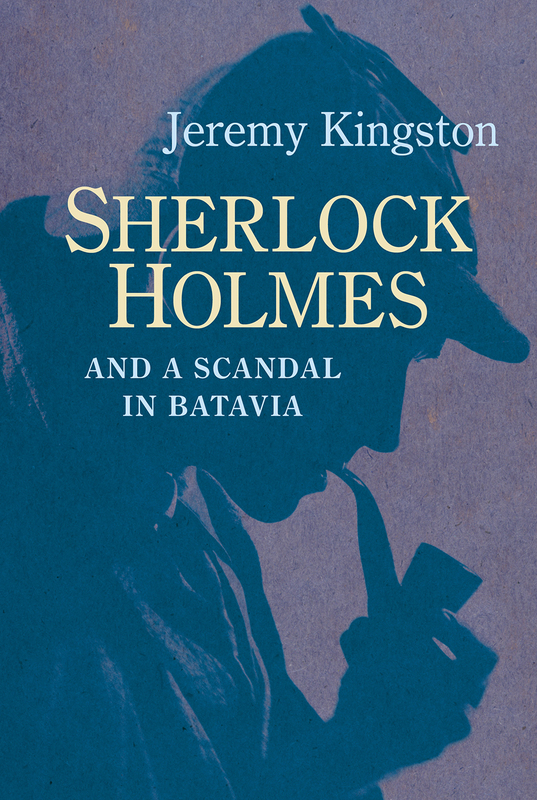 Buy your copy of Sherlock Holmes and a Scandal in Batavia here. March 1891. A group of mourners gather for a funeral in a small country churchyard in Worcestershire, but events do not go according to plan. An old friend invites Detective Inspector Ravenscroft to investigate, and before long the detective and his associate Constable Tom Crabb are embroiled in the dark world of the Upton Undertakers. Their long and dangerous investigation takes the duo across the country, from Temple in London, to the ancient Shropshire market of Ludlow, to a strange educational establishment near Bromyard. Ravenscroft eventually draws the case to a dramatic conclusion, only to find that fate has one last surprising trick to play. This is the seventh book in the thrilling Victorian Inspector Ravenscroft series. Kerry Tombs was born in Smethwick, near Birmingham. After a career teaching in both England and Australia, he moved to Malvern where he became a genealogist, lecturer and bookseller. He currently lives in Ludlow, Shropshire. There are six previous books in the Inspector Ravenscroft series, including the Tewkesbury Tomb and The Droitwich Deceivers. 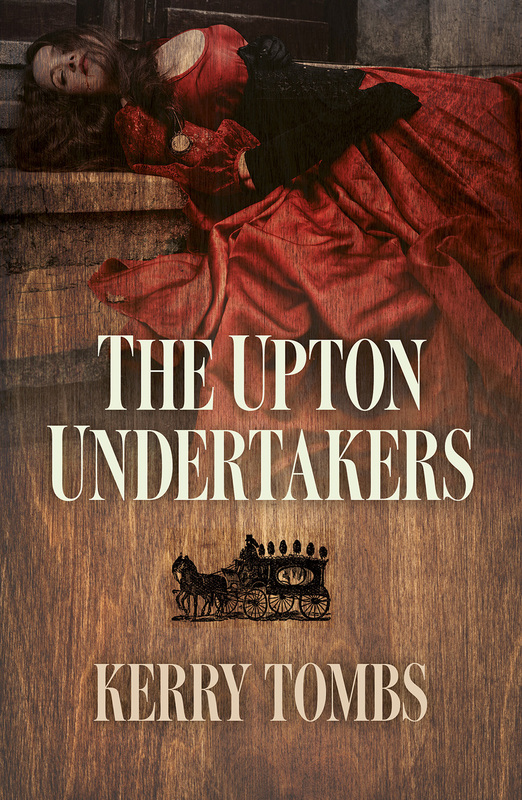 Buy your copy of The Upton Undertakers here. Award-winning actress, Joan Minter, is murdered in front of a gathering of her closest friends. However, nobody knows who the murderer is, nobody saw him or her, and nobody present could possibly be the guilty one. That’s the challenge facing Detective Inspector Angel and his team when they are called out to her luxurious home in Bromersley, South Yorkshire, at the foot of the Pennines. At the same time, an apparently innocent young insurance man is found murdered in his own house. The only clues are a new vacuum cleaner left by the murderer and an open refrigerator. Who committed the crime and what has the vacuum cleaner got to do with the case? This is the twenty fourth story in the highly successful Inspector Angel series. 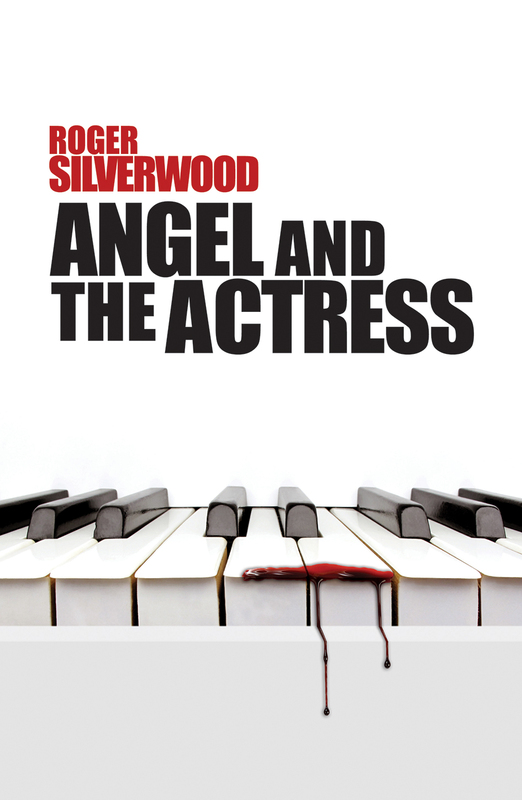 Buy your copy of Angel and the Actress here. dying wish: he wants his loyal assistant to burn his house down. Temple and his Major Investigations Team take on their toughest case yet, and in the process they uncover vicious depravity and horror that was meant to lie buried forever. This is the fourth book by James Raven in the hugely successful DCI Jeff Temple series. Hale, including Urban Myth and Random Targets. .Buy your copy of Dying Wish here. Catalyst and Mercenary were also published by Robert Hale. 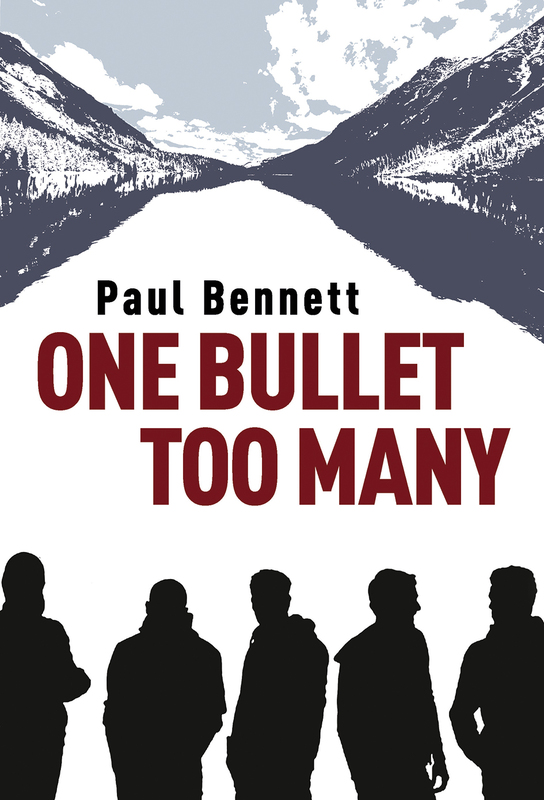 Buy your copy of One Bullet Too Many here. that is his livelihood, and Ryan’s mother is killed.If Ryan wants to see his father’s beloved horse Hunter’s Moon again,he must go to Melbourne and live in his uncle’s house. Here, past family torments are brought up, and he begins to unearth more about the disputes between Robert and Peter. The last thing Ryan expects is to fall in love with the clever, complicated girl who also happens to be his cousin…. adult life in Australia, where she lives with her husband and daughter. 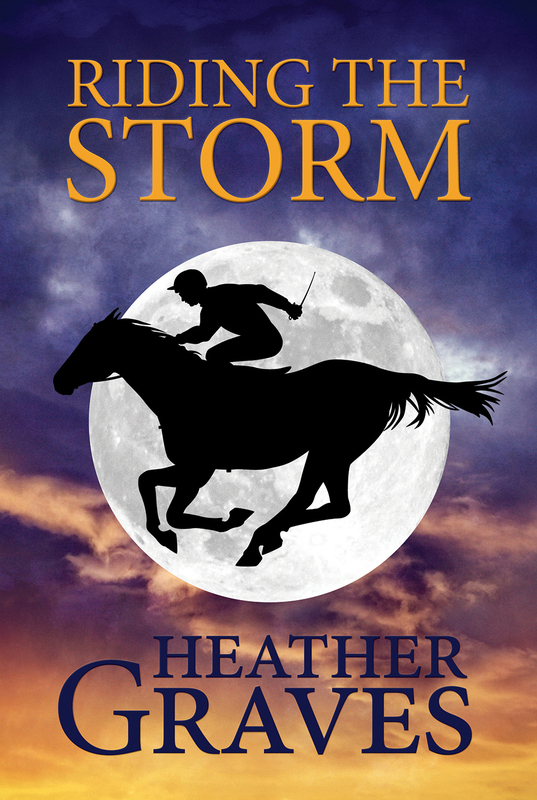 Buy your copy of Riding The Storm here. 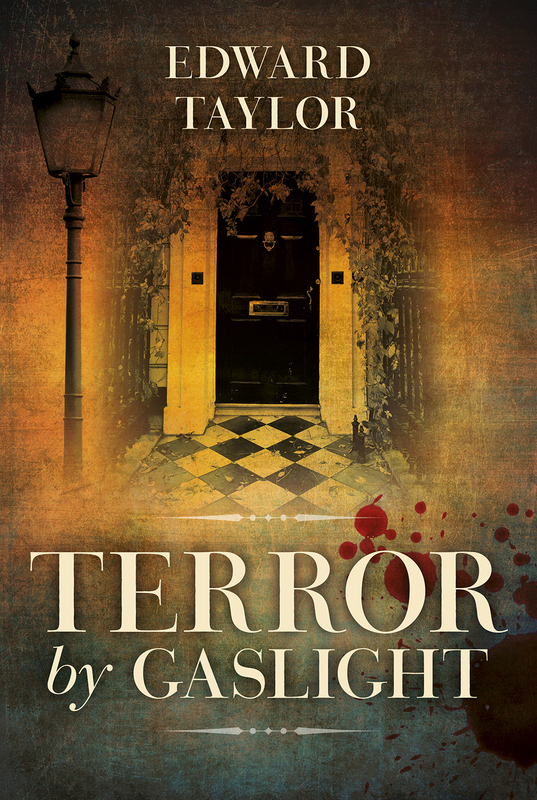 Buy your copy of Terror by Gaslight here. Dying Wish is one of many crime books published by Robert Hale. What keeps you writing this genre and why? I became an avid reader of crime novels when I was in my early teens. My mother was a big fan of Agatha Christie and the great Mickey Spillane, and she got me hooked. Crime appeals to me because as a writer, you can really let your imagination run wild. I love to develop plots and create characters who are either good and honourable or incredibly evil and vicious. Where do you find the inspiration for your books? I’m a news junkie so many of my ideas come from the papers. I also draw on my years of experience as a journalist. Every day there are stories in the news that can be turned into a plot for a book. I have a folder full of cuttings that give me inspiration. Do you think you have a bit of a dark side? My friends tell me that I must have a dark side because some of the stories I come up with are so twisted and disturbing. In fact, more than once I’ve had to tone down my manuscripts before Robert Hale considered them suitable for publication. There has been quite a surge in crime and thriller novels over the past few years. How does Dying Wish stand out from the rest of them, and what have you been doing to market this book? It’s hard for any book to stand out in the current marketplace, especially in the crime and thriller genre. Competition is fierce. I like to think that Dying Wish will be noticed because the premise is somewhat unusual and some of the sequences are quite shocking. My agent described it as ‘a powerful book that’s not for the squeamish’. I’ll be doing what I can to market Dying Wish by running online promotional ads, trying to secure reviews and sending out specially-made flyers. Hopefully there will also be a couple of book store events. How do you want your readers to feel after reading Dying Wish? Dying Wish is actually a pretty dark story and I’m hoping that readers will find it thought-provoking as well as entertaining. If when they finish it they feel it was time well spent, then I’ll be happy. It’s also the fourth in the DCI Jeff Temple series and it’d be great if readers are encouraged to check out the other three – Rollover, Urban Myth and Random Targets. Tell us a bit about your next novel. My next book is entitled The Blogger and also features Jeff Temple and his Major Investigations Team. It’s just been accepted by Robert Hale and is due out next year. The idea came to me after I read about the huge growth in the number of online blogs and how some prominent bloggers have been murdered in recent years for running controversial campaigns. 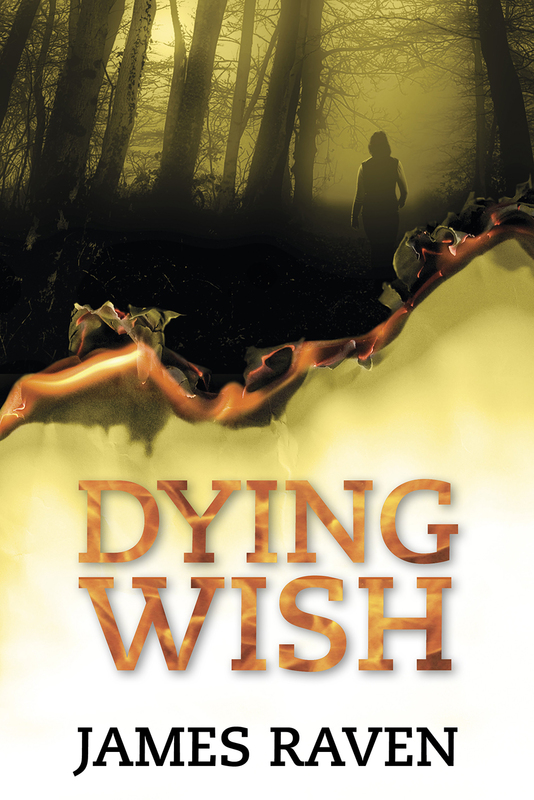 Dying Wish will be published by Robert Hale in June 2015. 1894, Sir Montague Fowler, warden of St Michael’s College, Oxford, dies from apparent natural causes but an autopsy reveals that his body was full of the deadly poison mercuric chloride. Detective Antrobus of the Oxford city police is summoned to investigate. Who would benefit most from the warden’s death? His three children are all in desperate need of money and each are embroiled in their own scandal. Antrobus’s list of suspects grows as it seems everyone had something to gain from the death. 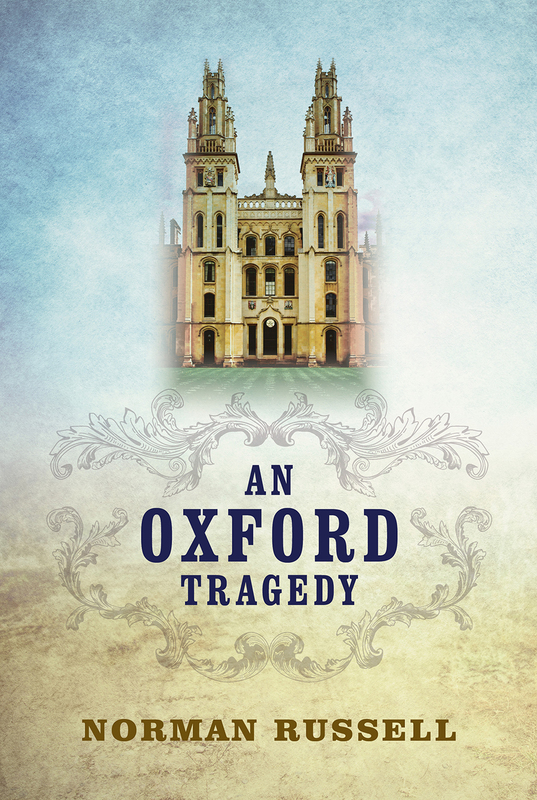 Aided by pioneer physician, Sophia Jex-Blake, the detective sets about unravelling the truth behind this Oxford tragedy. Norman Russell was born in Lancashire but has lived most of his life in Liverpool. After graduating from Jesus College, Oxford, he served a term in the army and was later awarded the degree of Doctor of Philosophy. He now writes full-time. Among his previous novels published by Robert Hale are Depths of Destruction, The Dorset House Affair and The Calton Papers. Buy your copy of An Oxford Tragedy here. Max Persault loves his sea-faring life as a ship-owner and merchant. When his cousin Alistair, the newly elevated Duke of Haslingfield, appeals for his help, he finds himself masquerading as the duke and on his way to Cromer, while Alistair sets off to France to complete an undercover mission. Before even arriving at his destination, Max has aroused the suspicions of Miss Constance Church. Constance struggles with her misgivings about Max. At first dismissing him, she soon begins to suspect that there may be much more to him than meets the eye. In this lively and comedic tale of love and masquerade, first impressions are questioned, judgments are upturned and pretences must eventually come undone. Ann Barker was born and brought up in Bedfordshire, but currently lives in Norfolk. For more information about Ann Barker and her books, please go to http://www.AnnBarker.com. 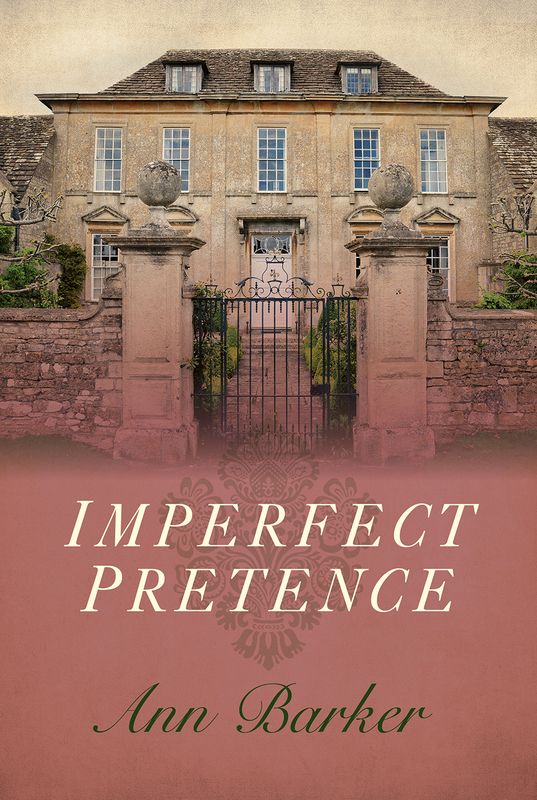 Buy your copy of Imperfect Pretence here. The Davies family is as dysfunctional as they come. When Frank marries a younger woman, Susan, his ten-year-old daughter Louise feels pushed out, and even more so when baby Karen arrives. Now, years later, with her father gone, Louise feels even more the odd one out. Obsessed with finding her birth mother, she distances herself from her family, hiding the truth of her flailing acting career from them, and spitefully makes trouble for Karen whenever the opportunity arises. Karen meanwhile wants to return to her career as a teacher after baby Peter is born, but her husband Simon has other ideas. Susan longs to see her girls reconciled and to pick up the threads of her own life again.Eventually each one, in her own way, is shown the path to happiness. But will they take it? 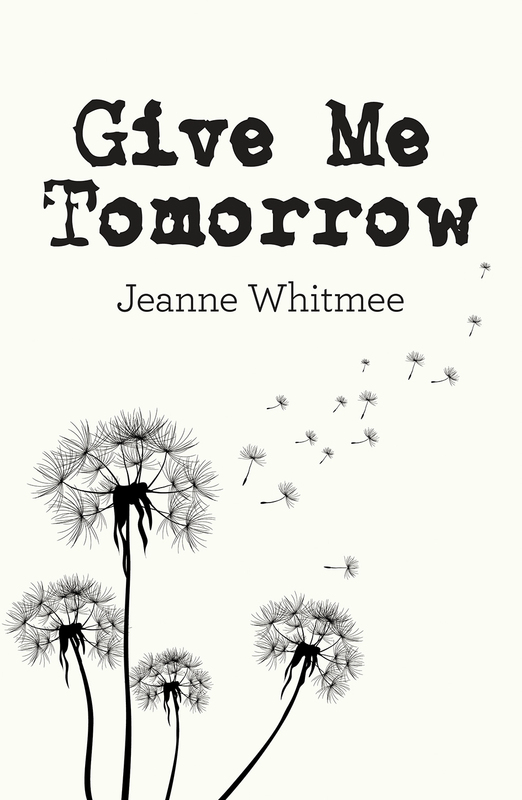 Jeanne Whitmee originally trained as an actress and later taught Speech and Drama until taking up writing full-time. She has written many novels including Too Late to Paint the Roses, To Dream Again and True Colours, also published by Robert Hale. Buy your copy of Give Me Tomorrow here. A colourfully dressed Bedouin interrupts the breakfast of Sherlock Holmes and Dr. Watson with a cryptic message of warning: they must stay away from the affairs of his people. Before long the detective and his assistant are dispatched to the Vatican to investigate the murder of Cardinal Tosca. Considered the Pope’s natural successor, Tosca was killed as he worked on the translation of an ancient scroll. All clues point towards Holmes and Watson’s Bedouin intruder and there are whispers of the involvement of a so-called ‘unholy trinity’. The duo embark upon a dangerous trip to Egypt, the birthplace of the Coptic Church, to uncover the nature of a parchment missing from Cardinal Tosca’s office and, ultimately, the motives of the Bedouin. Paul D. Gilbert was born in North London and now lives in Harrow with his wife Jackie and their two sons. As well as his passion for the work of Arthur Conan Doyle, he also enjoys history, science-fiction and Tai Chi. His previous two novels, Sherlock Holmes and the Giant Rat of Sumatra and The Chronicles of Sherlock Holmes, were also published by Robert Hale. 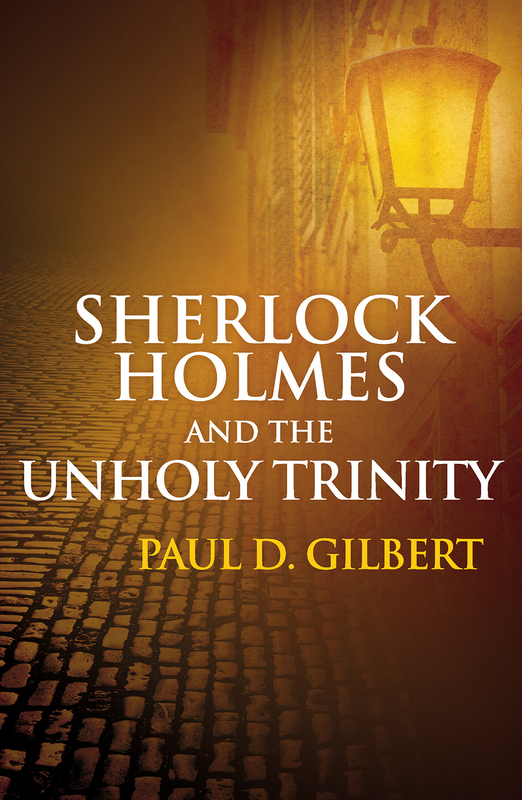 Buy your copy of Sherlock Holmes and the Unholy Trinity here. In the small Cotswold village of Heyford Bassett, vicar’s wife Monica Noble throws a party for the village’s new residents. The guests include Margaret Franklyn and her philandering husband Sean, a celebrity chef and her cartoonist beau, a retired Oxford Don with a secret, a forty-something divorcee, and the owner of a chain of gyms. A shotgun blast heralds the discovery of the body of Margaret Franklyn and suspicion falls on a community already terrified at the thought of a murderer in their ranks. Who to blame? The husband? Monica’s daughter who had been accused of stealing from the deceased? Monica swings into action with the local DI to save her daughter and solve the crime. Buy your copy of An Unholy Mess here. When a woman confesses to Father Will, one of the monk-constables at Maddleskirk Abbey, that she has committed murder, he can do nothing but absolve her from her sin. The Seal of Confession is absolute. He cannot discuss her crime, ask the identity of her victim, or share the responsibility of this information with anyone. His hands are tied. When a body is found in the nearby woodland, his moral dilemma grows. Detective Chief Superintendent “Nabber” Napier and his team have a murder to solve, but monks sworn by oath to silence are hardly the ideal candidates for questioning… When the murder weapon is discovered, concealed in the Abbey, and the detectives learn of the mysterious disappearance – and violent past – of one of the Abbey’s monks, the race is on to find the culprit before anybody else gets hurt. Questions need to be answered and confessions must be made. Nicholas Rhea is the pen name for Peter N. Walker, formerly an inspector with the North Yorkshire Police and the creator of the Constable series of novels, the inspiration for the long-running and critically acclaimed ITV drama series Heartbeat. As Peter N. Walker he is the author of Portrait of the North York Moors. He lives in North Yorkshire. Buy your copy of Confession at Maddleskirk Abbey here. Dean Wilson knows any relationship with Naomi Macaulay is doomed. Her family are Wilson Macaulay Industries, founders of Bishopton Investment Group. His sister, Linda, was the Group’s financial director until she vanished four years ago, around the same time as millions of pounds of investors’ money disappeared, and the Group collapsed amidst claims of fraud and embezzlement. When Dean is charged with assault, DI Mike Nash’s enquiries cause him to reopen the fraud case, and soon Nash has several murder investigations on his hands. Meanwhile, when complaints are made about email scams, computer analyst, Tina Silver, is brought in to help examine the software. Connections to executives of Wilson Macaulay Industries begin to emerge. After an independent auditor vanishes, Nash and his colleagues must determine who is guilty, who is innocent, who is dead and who is gone. Bill Kitson, a retired finance executive, was born in West Yorkshire. He is an avid fan of cricket and cryptic crosswords and is also the former chairman of the Scarborough Writers’ Circle. Dead and Gone is the eight outing for DI Mike Nash, following Kitson’s gripping thrillers Depth of Despair, Chosen, Minds That Hate, Altered Egos, Back-Slash, Identity Crisis and Buried in the Past. Buy your copy of Dead and Gone here. Emma Chandler has a comfortable life as junior partner of a firm of chartered accountants in London. When she is sent to Venice to investigate the disappearance of their client Signor Marco dell’Orto’s fortune, her safe lifestyle is capsized and she is thrown into a disorientating and fast-paced world of deceit and crime. She begins to fall for Marco while staying in his palazzo, and her arrival does not remain unnoticed in the Venetian backstreets for long. Marco’s computers are hacked and his phone is bugged. Emma is being watched. The body of a young woman wearing Emma’s raincoat is found, floating in a lagoon. Should Emma take these ominous signs as a cue to leave? Or should she stay to complete the job she was sent to do? Emma must figure out, with the help of the Venetian police and the computer expert Professor Windsor, who is behind the stolen fortune. Stella Whitelaw began her writing career as a cub reporter and rose to become the first female chief reporter in London. She writes short stories for national women’s magazines and has won many competitions. Her previous novels Portrait of a Murder and Money Never Sleeps were also published by Robert Hale. 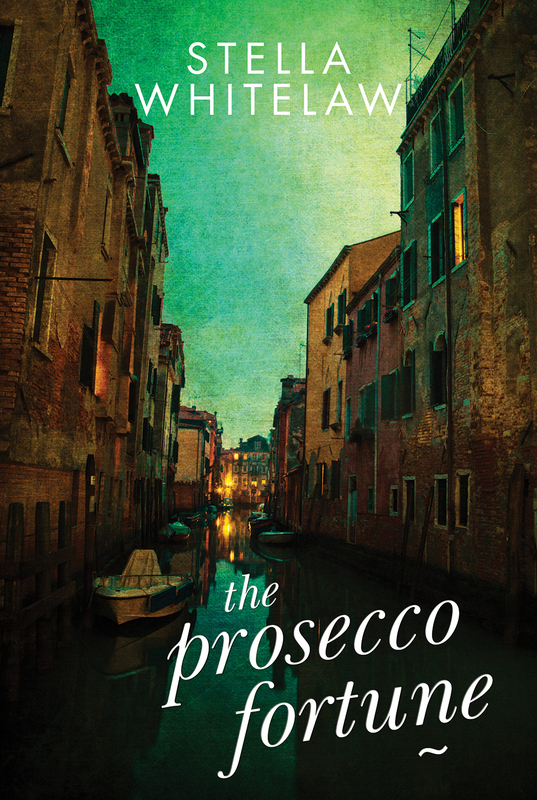 Buy your copy of The Prosecco Fortune here.